The National Finals Rodeo (NFR), organized by the Professional Rodeo Cowboys Association (PRCA), is a 10-day premier championship rodeo event held in the first full week of December in Las Vegas since 1984, with Wrangler Jeans becoming the title sponsor since 2001. As the current contract with Las Vegas through 2014 was up to renew in December 2013, PRCA board, the sanctioning body overseeing the NFR, had voted 6-3 to reject Las Vegas' initial offer to keep the NFR beyond 2014. Orlando, Florida and Dallas, Texas started to pursue the role of host city by offering a more lucrative deal to move the NFR. However, after more than a month of negotiations, a new deal was reached yesterday on January 24, 2013 so that the National Finals Rodeo would stay in Las Vegas for another 10 years through 2024. 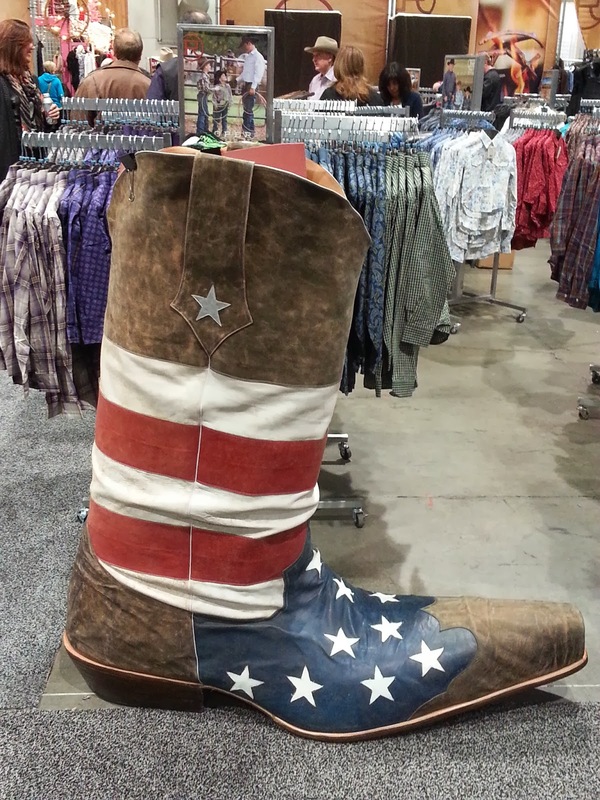 Outgoing postcard US-2598769 to New Zealand shows a giant cowboy boot at the Cowboy Fan Fest and the Cowboy Christmas Gift Show during the National Finals Rodeo on December 7, 2013.